Shivam was the owner of automobile parts manufacturing unit. He was earning a good profit until one fine day one of his prominent production units got unexpectedly caught on fire. Ryan was now at a big financial loss, as he had debts to clear and renovate the entire production unit by shelling out a big amount from his pocket. However, if he had got his business insured earlier, he would have got a good reimbursement for all his renovation and debt-clearance expenses. A good business depends on the amount of risk you are taking. If you are able to take risks, only then you can become a successful businessman. But along with the potential of taking risks, you must also be aware of the probable risks and take necessary precautions beforehand. There are several types of business insurances available in the market that can safeguard your business against any type of loss. Broadly, there are three types of business insurances available in the market – • Liability insurance - Occasionally, you might be held responsible for any kind of damages and injuries. Liability insurance can help reimburse those expenses. • Workers & personal insurance – In this type of insurance policy, you can insure your employees during any sudden demise, critical illness or workplace accident. This can help you pay the expenses of occasional compensation claims. • Asset & revenue insurance - Asset and revenue insurances are quite compulsory for any business, as it provides full coverage to your business assets. Moreover, here you can also claim for reimbursements during the loss or decrease in revenue generation. Which insurance policy is designed for your business? With so many insurance providers are designing insurance policies for various business, it is often quite difficult to choose a policy that provides full protection to your business. However, if you can identify your insurance needs, it is easy to choose an insurance policy that suits your needs. For example, if your business needs transporting products from one place to another, you can get an insurance against any damage or loss of products during transit. • Business income/ interruption insurance- Business interruption insurance or business income insurance provides financial coverage for your business against any kind of physical damage. If due to any physical peril like hurricane, fire, flood, earthquake, etc. you have to close your business, you will get a reimbursement for that and save your business from the disaster. 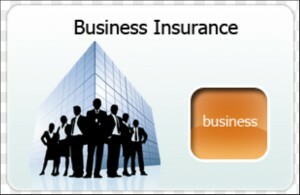 • Insurances for general liability- This type of insurance is usually provided for any small, mid-size or big business. Under this policy, you can defense yourself against any third party injury, be it property damages or a physical injuries caused by you to the third party. • Business owner’s insurance policy- This is a comprehensive plan where an entrepreneur gets coverage for his each and every needs. It includes business income insurance, vehicle coverage, liability insurance, property insurance, building insurance, crime insurance, and so on. This is one of the most affordable packages where without paying much, you can avail multitudes of benefits. • Policy for worker’s compensation- As an entrepreneur, it is your duty to look after your employees. In this type of insurance policy, all you need to do is pay a little premium so that your employees can get financial support for all their medical expenses when they get injured in the workplace. If the employee avails this benefit, that means the employee has no right to sue his employer if any incident happens in the workplace. This can also save the employer from any kind of legal complications. • Commercial vehicle insurance- In this type of insurance, you can get coverage of your company’s vehicles. As an entrepreneur, you can claim renovation cost for any kind of major or minor damage occurred to your vehicle. Under this coverage, you can keep any vehicle that carries equipments, employees or products. • Insurance for the business property- In this type of policy, everything that is being owned by the entrepreneur is covered. The list includes the building and office premises, computers, equipments, tools and other important objects. Under this policy your office assets get protection from vandalism, smoke damage, theft or fire. You can also include insurance on loss of earning and claim financial support till the date you are not able to operate your office properly. • Insurance against data breaches- There are several sensitive and confidential files and documents stored in an office as hard and soft copies. According to this policy, you can get insurance against any information leakage. • Officers’ and directors’ insurance- In this type of insurance, protection and coverage is provided for the enterprise against officers’ and directors’ decision that might affect the company adversely. • Insurance on professional liabilities- This is quite a vital policy that provides coverage against any damages or failure in providing quality professional services. If you have general liability insurance, it does not provide you this coverage. It can be taken by anyone who provides professional services, like a doctor, consultant, doctor, and so on. As a business owner, it is quite important for you to get your business assets insured. Be it your employees’ health or company-owned vehicles, business insurance can be your life-time companion and friend in need. But one should research well before investing. You can visit various insurance comparing sites to select an ideal plan that suits your business and benefits that can help you in the long run. There are many insurance policies designed for industry-specific enterprises that can be availed easily by the entrepreneurs. However, keep in mind that budget priced or expensive policies are not always bad or good. It is the prominent features that count.